- With more than 30 marathons being held this weekend alone and big events on the horizon, officials around the world are boosting security efforts in the wake of the fatal bomb blasts that shook Boston's race.Britain was making last-minute efforts to tighten measures for former Prime Minister Margaret Thatcher's funeral on Wednesday at St. Paul's Cathedral, which is to be attended by hundreds of diplomats and dignitaries, including Queen Elizabeth II.Russian sports officials said Tuesday they will beef up security in preparation for the Winter Olympics and other events.Police in some major U.S. cities were monitoring landmarks, government buildings, transit hubs and sporting events. Law enforcement agencies also urged the public via Twitter and Facebook to report suspicious activity to the police. "No matter how many days, months or years pass without a major terrorist attack, it only takes one such attack to bring us back to the cruel reality," Interpol chief Ron Noble told The Associated Press early Tuesday, saying police would be on high alert.Although security has been increased at some U.S. and European landmarks, overall terror threat levels have remained unchanged - in contrast to other recent bombings and thwarted attacks in which terror threat levels were raised and travel advisories put in place. 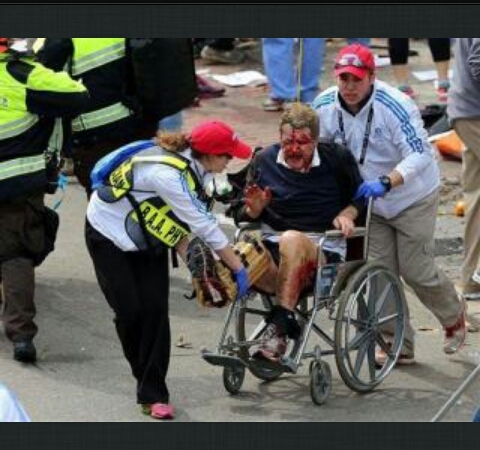 "The (Boston) attacks mean that we will be assessing our security protocols," said a British security official who spoke on condition of anonymity because he is not authorized to be publicly named. "There is some initial information coming out ... but it is too early to draw any conclusions. There doesn't appear at this point, however, to be a wider threat. "Security was particularly tight for the big events in Britain, which has been at the heart of several terror attacks in the past decade, including suicide bombings in 2005 that killed 52 people. Several international terror plots have also been traced back to suspects in Britain.Workers are inspecting some of the country's 4.3 million CCTV cameras in high-traffic areas around London to ensure views are unobstructed and equipment is functioning. Workers in an underground bunker monitor the footage around the clock.Boosting security may also include adding manpower, increasing air visibility and securing public transport routes. Police and counter-terrorism officials are also aggressively monitoring potential suspects.More than 37,000 runners will be at Sunday's London Marathon, which will be attended by Prince Harry. 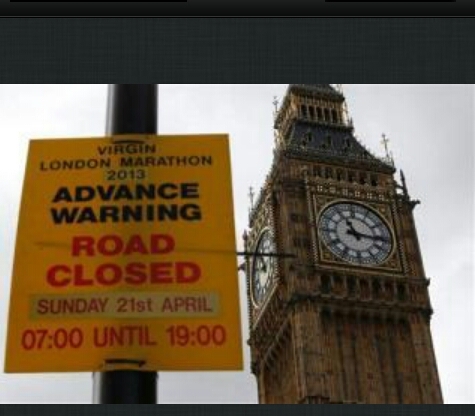 Other marathons are also being held across the world this weekend in in countries across Europe, in Japan, South Africa and around the United States.London Marathon officials said the race would on as planned but security was being evaluated. In Serbia, officials said they would raise their guard. "We will do our best so that this year the security level is even higher," said Dejan Nikolic, the organizer of Sunday's Belgrade Marathon.Tourists traveling aboard the Eurostar train that crosses the English Channel to London said they still planned to watch the London Marathon on Sunday. "All said and done, I'll still keep an eye out," said Jim Gullack, 52, of Dallas.Russian sports officials also said Tuesday they will beef up security at sports events and the Sochi 2014 Winter Games.The World Athletics Championship takes place in Moscow on Aug. 10-18, and the event is seen as a dress rehearsal for the 2014 Winter Games in the Black Sea resort of Sochi.Russian Sports Minister Vitaly Mutko described the attack in Boston as "a grave signal. "The French Interior Ministry ordered local authorities across France to reinforce security measures already in place since the January intervention in the African nation of Mali began. Since then, armed soldiers have patrolled subway stations, monuments and city streets.In New York, authorities deployed so-called critical response teams- highly visible patrol units that move in packs with lights and sirens, - along with more than 1,000 counterterrorism officers. Highly trafficked areas like the Empire State building, Rockefeller Center, St. Patrick's Cathedral, the United Nations and the World Trade Center site were being especially monitored.Mayor Michael Bloomberg said the police department was fully prepared to protect the city. "Some of the security steps we are taking may be noticeable," Bloomberg said. "And others will not be. "In Washington, Secretary of Homeland Security Janet Napolitano urged the American public "to be vigilant and to listen to directions from state and local officials. "At the White House, the Secret Service expanded its security perimeter after the attacks, shutting down Pennsylvania Avenue and cordoning off the area with yellow police tape. Several Secret Service patrol cars blocked off entry points, although the White House was not on lockdown and tourists and other onlookers were still allowed in the park across the street.In California, emergency management officials activated their statewide threat assessment system, which was established after the Sept. 11 attacks.And at the Port of Los Angeles and Long Beach, as well as at three major Los Angeles airports, including Los Angeles International, law enforcement officials were in a "heightened state of vigilance," with increased patrols, authorities said.Security was also tightened at sports venues across the U.S., though most events were held as planned.The exceptions were in Boston itself, where Monday night's NHL game between the Bruins and Ottawa Senators was postponed and Tuesday's NBA game between the Celtics and Indiana Pacers was canceled.Officials announced plans for security reviews of upcoming marathons and road races in cities large and small.Race officials for the Illinois Marathon in Champaign and Urbana, Illinois, said they were already fielding calls from worried runners and their families and planned to meet Wednesday to discuss more security measures such as bomb-sniffing dogs._____Associated Press reporters Nataliya Vasilyeva in Moscow, Colleen Long in New York, Tami Abdollah in Los Angeles, Brett Zongker in Washington, Gregory Katz and Raphael Satter in London, Juliet Williams in Sacramento, Elliot Spagat in San Diego, Jason Dearen in San Francisco, and David Mercer in Champaign, Illinois contributed to this report.